Get Your Creative Briefs On! Having trouble getting started with your creative brief? We know it can be challenging. That’s why we’ve created the perfect tutorial and worksheet to help you create strong creative brief for your next campaign. Watch, download and share the Get Your Creative Briefs On! client resource today! Direct mail is alive and coming back in a big way! If you don’t have direct mail as part of your marketing plan for 2014, it’s time you consider adding it. Need more proof of the power of direct mail? 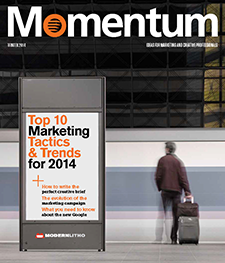 We’ve got it and it’s the perfect way to help you create powerful direct mail in 2014. Register for the ACT NOW! Webinar-On-Demand hosted by Daniel Dejan of Sappi Fine Paper and Trish Witkowski of FoldFactory.com. Hurry! Register today and receive your COMPLIMENTARY ACT NOW! Direct Mail Guide from Sappi Paper. Click Here to Register for the ACT NOW! Webinar-On-Demand.